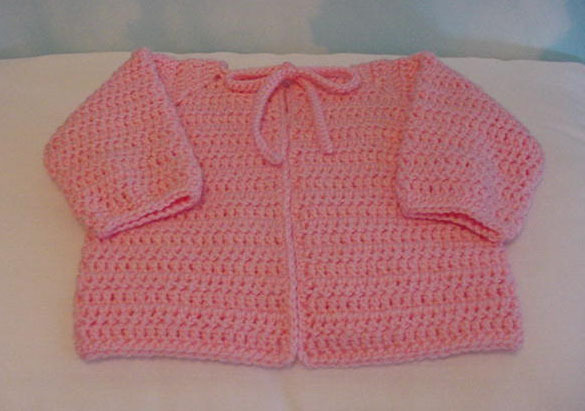 SLK Baby Sacque by Susan L. Kraus – Simple Crochet Baby Jacket Pattern. Finished Chest Measurement: 20 (22) inches. Materials: 4 (6) ounces baby sport yarn, size H (5.00mm) crochet hook, 3 small buttons (optional).